Chomp the night away with these awesome gag teeth! 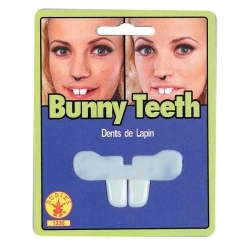 They are perfect for adding to one of our bunny accessory kits to complete the look or just for a silly pair of buck teeth. Not for use by children under 5 years old or with braces.